Terms Specific to Market Data provided by Athens Exchange S.A. (“ATHEX”). accepts, in case that an underpayment of ATHEX fees is revealed in any way due to the ATHEX Market Data usage by Client in breach of the terms of the ATHEX Market Data usage as specified in this Agreement, to be directly responsible for the payment of such fees directly to ATHEX. 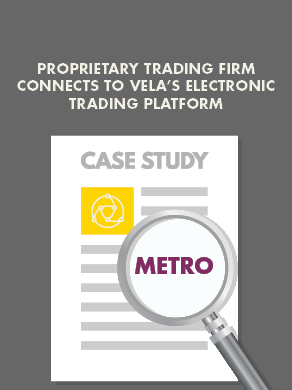 In case of non-payment or non-compliance by Client with the conditions set out in this Agreement, Vela shall cease disseminating the ATHEX Market Data to such Client and shall notify ATHEX.